It’s been quite a while since we’ve featured Mr. Whittle here, but hopefully this entry will make amends for our negligence. 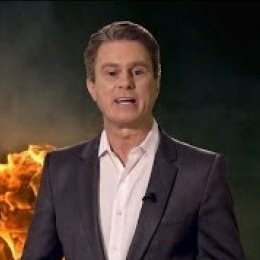 Seems that he’s found a new home for his ‘Firewall’ video series, too, and added some snazzy production elements to his normal flawless delivery. In the clip below, Bill walks us through exactly WHY obtaining the truth about the 2012 Benghazi attacks is so essential to our country: Competence, and Character. Those are the two most important qualities of our elected officials, and they had the primary role in how Benghazi was handled (as they will with the “Benghazis” of the future). You criticize the president or his goals? You’re racist. You criticize Hillary? You’re sexist and/or you’re “scared” of “strong women”. You object to the way Mozilla’s CEO lost his job? You hate gays. 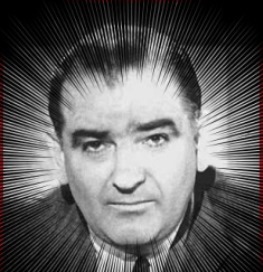 And if you try to discover the truth about a possible Democrat scandal, you’re accused of “McCarthyism“. The White House continues to stall, …and lie. Especially lie. The Democrats are still ridiculing any attempts to get answers. And the Press is still largely uninterested …which I can only assume is due to it not reflecting poorly on a Republican Administration. 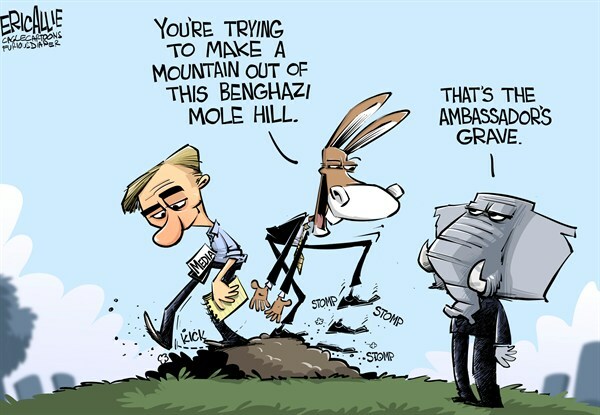 What does the Media have to say about that #Benghazi “Molehill” now…? Just imagine how different things would be today if the Media took even a cursory interest in this story. You know: like they did with Valerie Plame or Abu Ghraib. Or with Iran-Contra. Or even Justin Bieber. This has been eating at me ever since Obama said it, back in October of 2012. But before you watch it, do me a favor: don’t focus just on WHAT he says here, but also on HOW he says it. He is very deliberate. Haughty. Self-righteous. Barack was “in high dudgeon”, as a relative of mine used to say. If the President COULDN’T Lie, …What Would You Ask Him? Today we’re honored to have another offering from our friend, the Deja Reviewer! And given the upcoming State Of The Union Speech, this post is particularly timely. 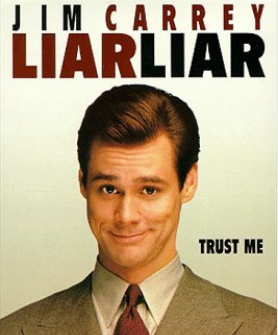 In the 1997 comedy Liar Liar, Jim Carrey plays a dishonest lawyer named Fletcher who is dismayed when he finds himself unable to lie about even the smallest thing one day. This setup results in numerous memorable gags and funny jokes. One of my favorites is when he drives like a maniac and gets pulled over by a police officer. He’s forced to relate every little misdeed he had just done, such as speeding, changing lanes without signaling, nearly hitting pedestrians, and more. But that’s not all. The cop then asks if there’s “anything else?”, and Fletcher grudgingly admits that he’s accumulated dozens of unpaid parking tickets, and they’re hidden in the glove compartment. 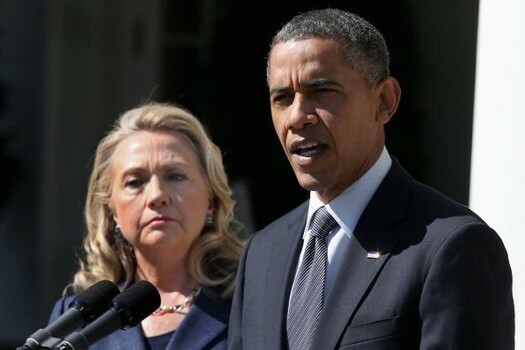 IRS, #Benghazi, and Bridgegate: …Guess which one the Media thinks is the only REAL scandal? The media has been desperate for months now to take the country’s focus off of President Obama’s policy failures, his floundering economy and the sick joke of Obamacare. 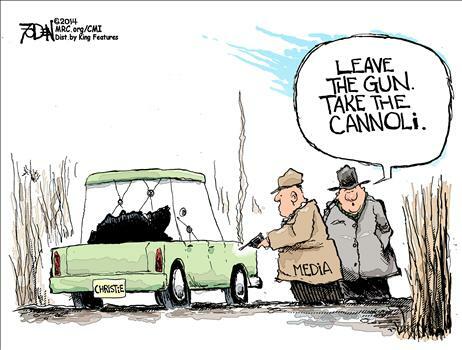 So ever since Christie’s ‘Bridgegate’ story broke last week, the Media has behaved with their usual restraint. Now allow me to clarify: I have no problem with the press investigating ANY politician for practically ANYTHING. My only issue is with their attempt to simultaneously cast President Obama’s entire panoply of scandals as mere trumped-up nuisances, even as they portray Bridgegate as a modern-day Khmer Rouge. Obama’s NEW Year, …even worse than his OLD Year. 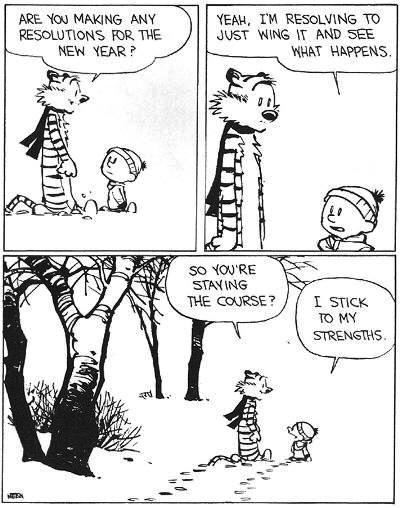 I truly believe that this sums up our President’s approach to most of what he does. How else to explain the Obamacare rollout, or the NSA snooping, or IRS targeting, or Fast And Furious, or Benghazi, or Iran, or…. well, you get the idea. Far from being a diabolical mastermind deftly pulling the country’s strings, Obama is the equivalent of a zit-faced, ideological teenager out joyriding in his daddy’s car. Sure, he’s drunk with power and bent on the country’s destruction, and I daresay he’s overall quite pleased with the results thus far. BUT, but he’s not actually in control of this mess. For that to be the case would require a once-in-a-generation leader/manager of tremendous skill and experience; a combination of Churchill and Jack Welch, with a dash of Patton thrown in. 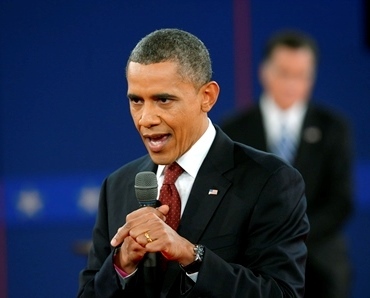 And if there’s one thing we DO know, …that sure-as-shootin’ ain’t Barack. This is partially explained by his background: he’s never had to actually deliver, whether during his time as President of the Harvard Law Review, or as a State Senator, or while a U.S. Senator. He was allowed to just give speeches, vote “present”, and sorta… coast.